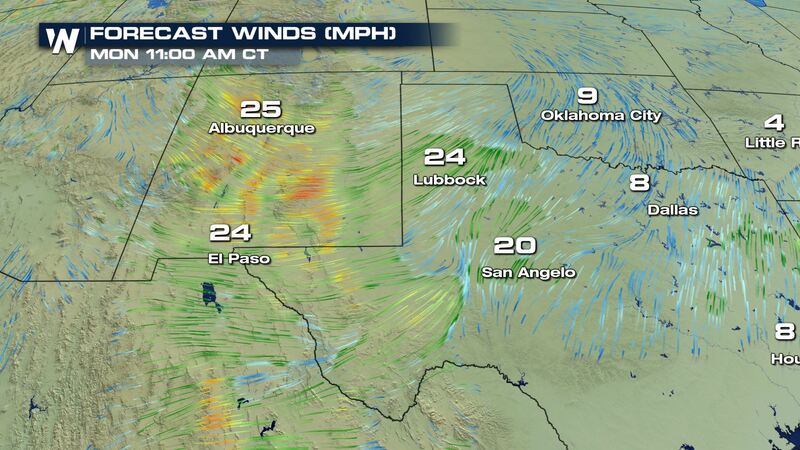 Strong winds and low humidity will lead to an increasing fire weather risk for parts of New Mexico and Texas. Here is the very latest. Moderate to severe drought conditions continue across the South Plains and there won’t be much rain to be happy about this week. 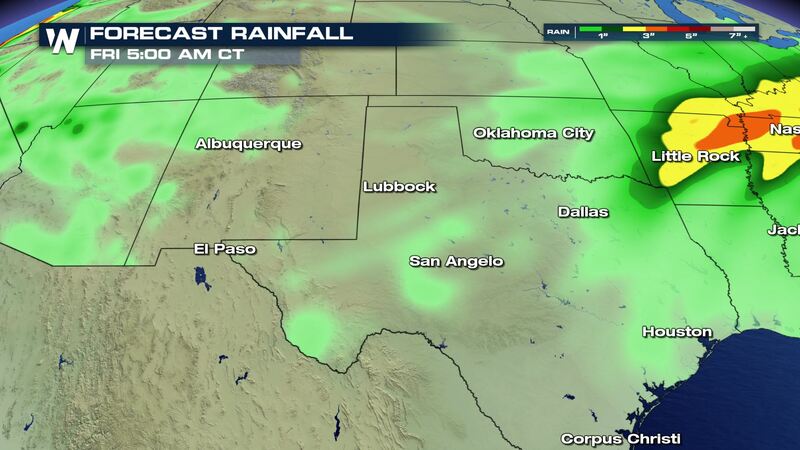 There will not be any drought relief anytime soon. Take a look at the winds forecast! 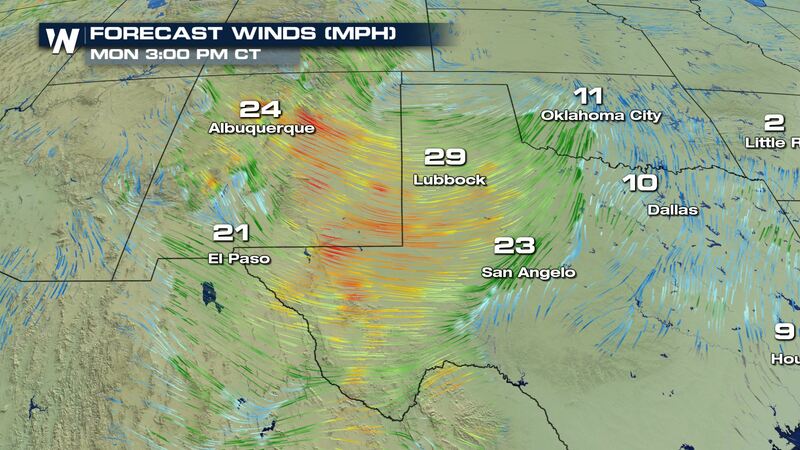 Wow…persistent winds of 25-30 mph will be possible, but these are just the wind speeds. Wind gusts could exceed 50 mph! Winds this strong will easily help strengthen and spread a wildfire. So please use caution if you are outdoors doing anything that can create sparks or flames. 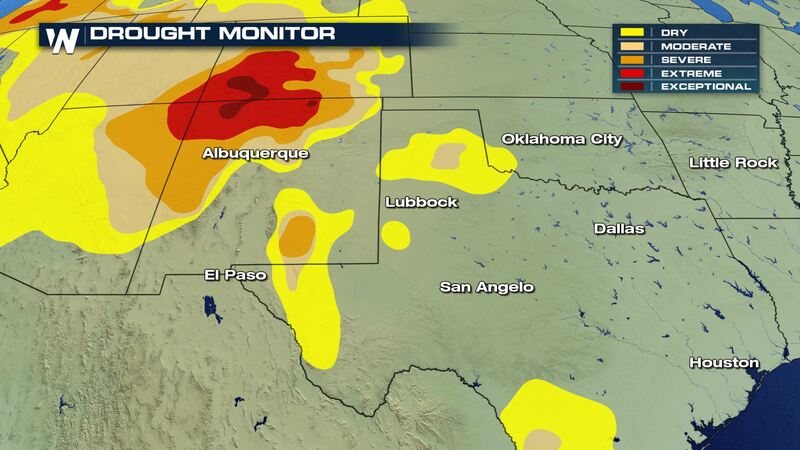 Here you can see the lack of rainfall over New Mexico and West Texas through Friday. This means the fire weather risk might continue into the weekend if the gusty winds continue to stay in the forecast. Keep checking with WeatherNation for the very latest updates.